2017 is the Year of the Rooster; Fire Rooster to be precise. 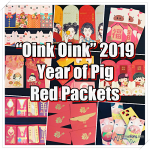 Besides feasting, gathering with family and friends, one of the things that I look forward to during this festive period is collecting red packets. 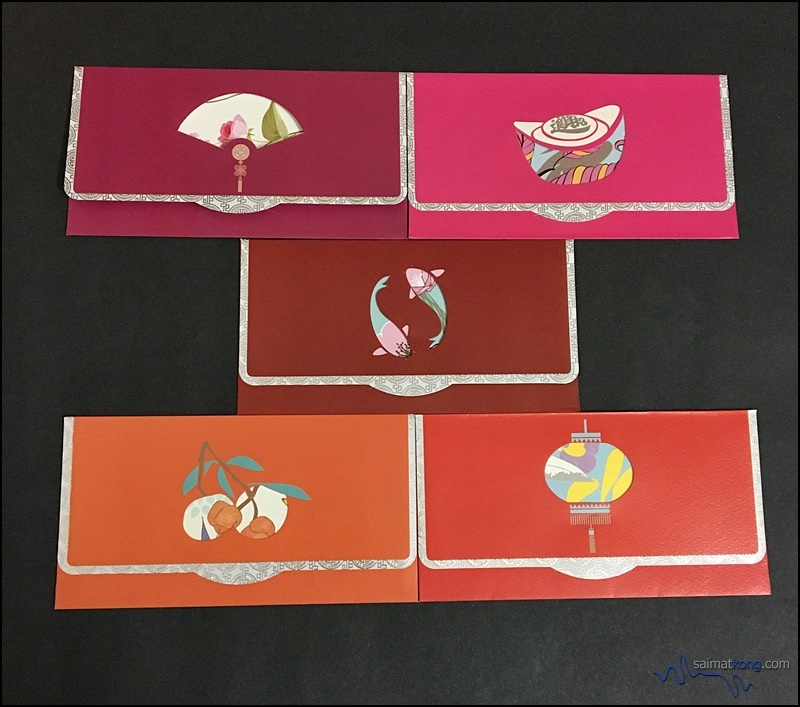 Inspired and influenced by The Wifey, I started to know how to appreciate the beauty of red ang pow packets by admiring the design and texture of the prosperity packets. 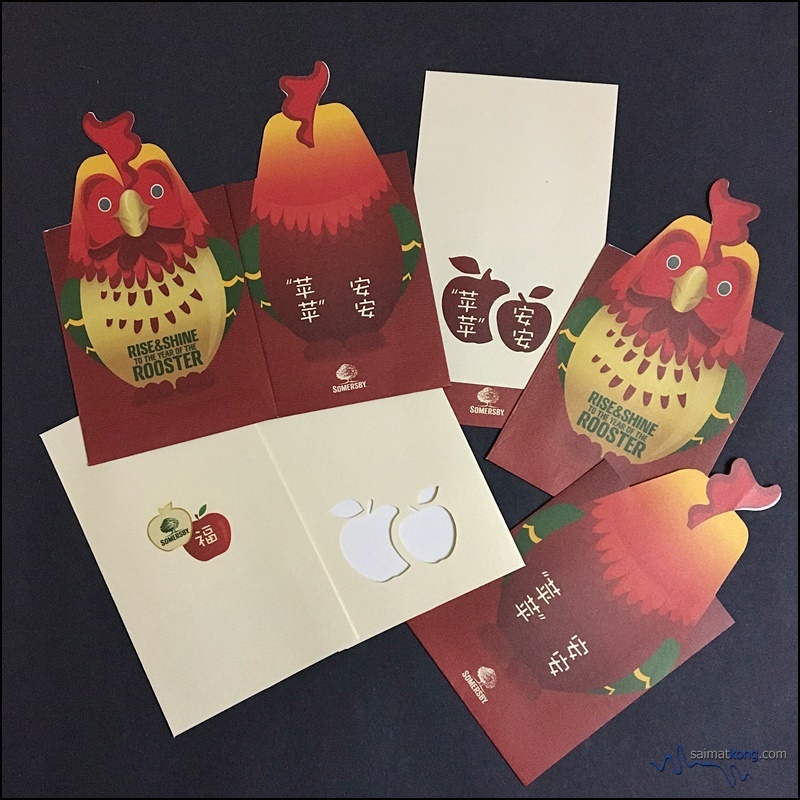 The Prosperity Packets come in different designs; rooster-themed, floral, cartoons and many more. 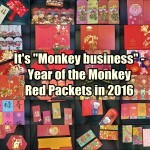 From classy, luxury and cute ones that is filled with cute “chicks” as it’s the Year of Rooster, there are way too many beautiful red packets. 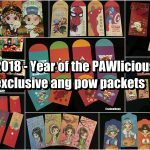 So for this post, I’ll be featuring some of the exclusive and limited edition red packets from fashion labels, companies and F&B outlets. Feast your eyes! 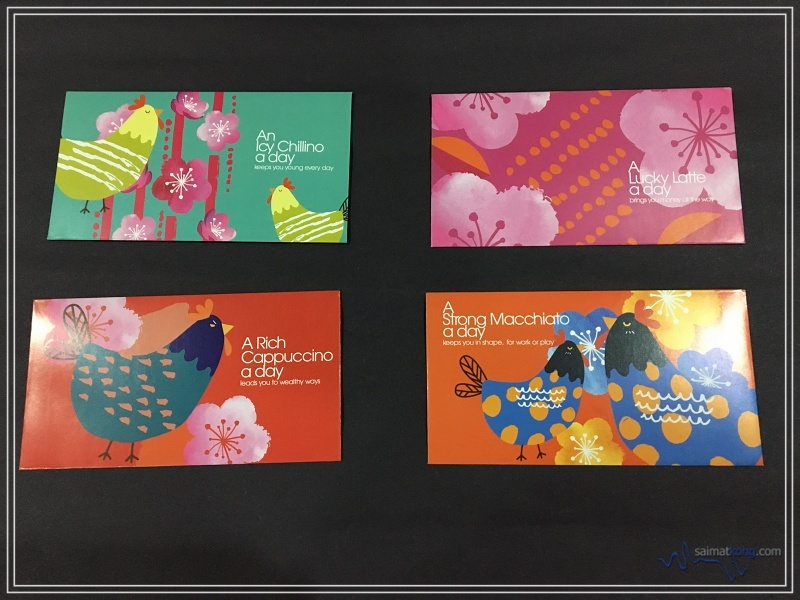 Check out the red packets designs below and do share with us which are your favourite ang pow packets in the comments section below. 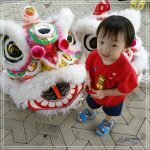 This year Ah Huat printed a set of ang pow featuring Ah Huat with a boy and girl and lots of Chinese New Year goodies. 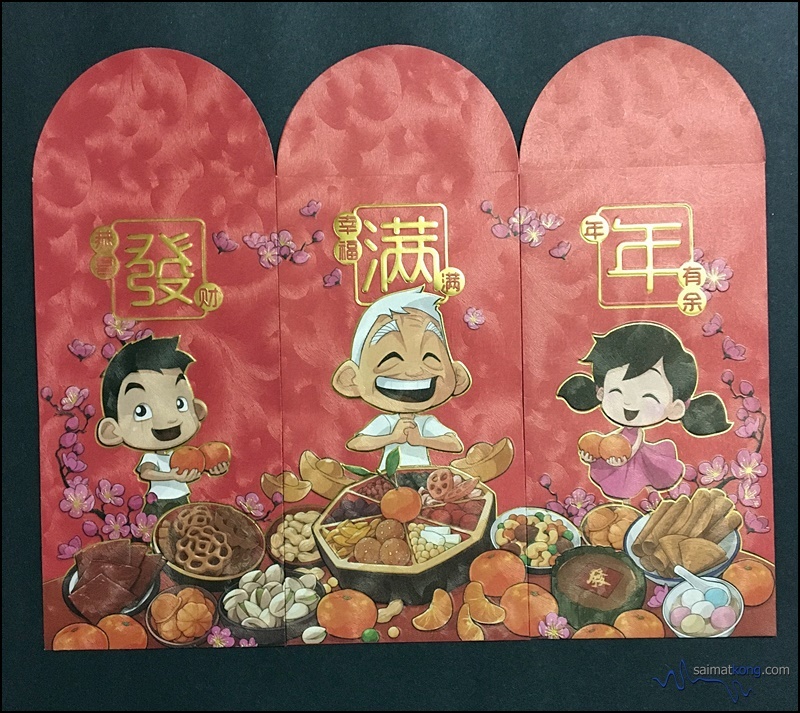 The three pieces when combined together form a very nice picture showing the joyous Chinese New Year celebration. It’s definitely one of the must-have set for ang pow collectors. 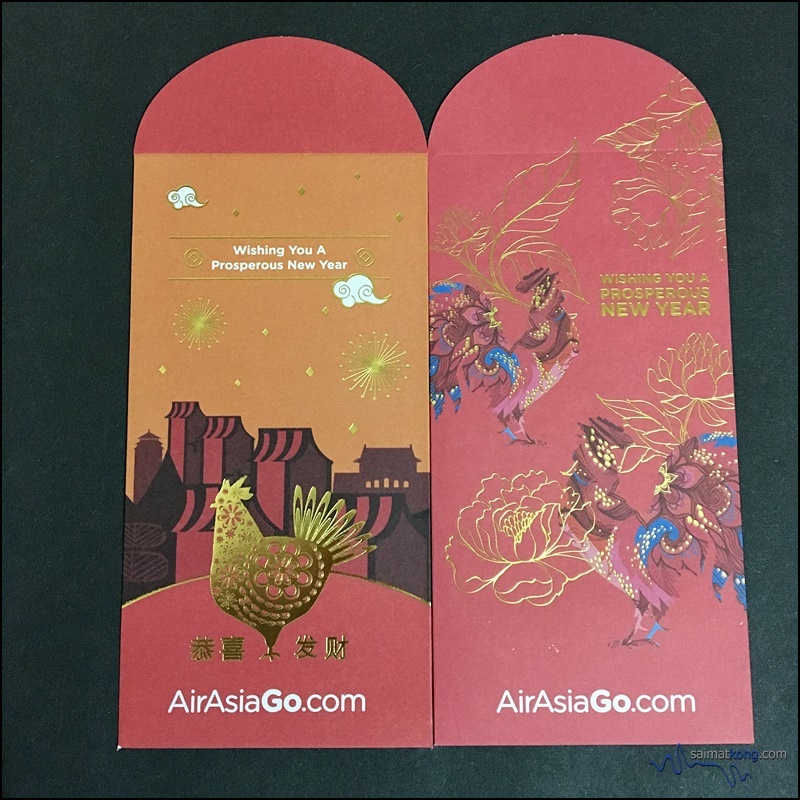 Bright colored red packets with 2 designs from AirAsiaGo. 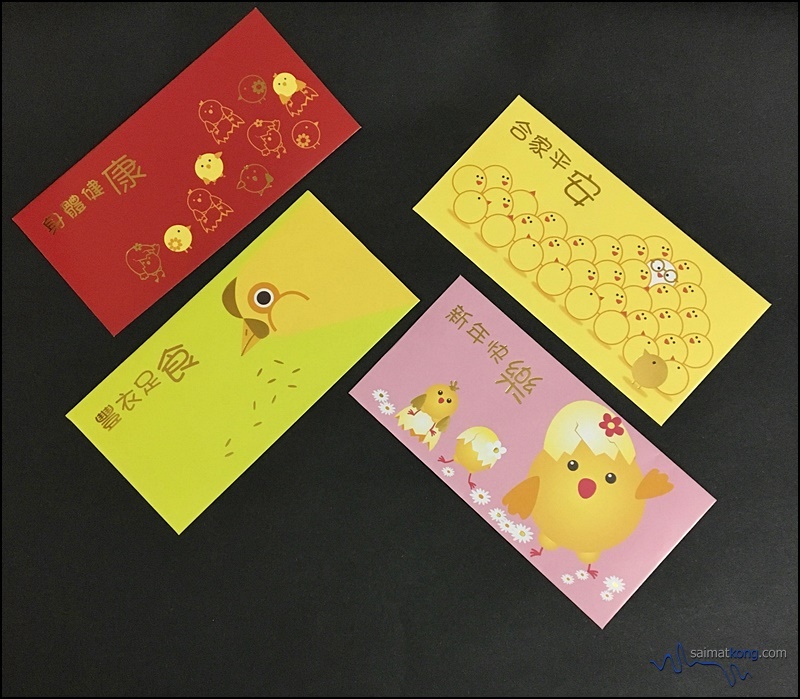 Apostrophe‘s red packets this year features a golden prosperity rooster with auspicious wordings on their vibrant envelopes. 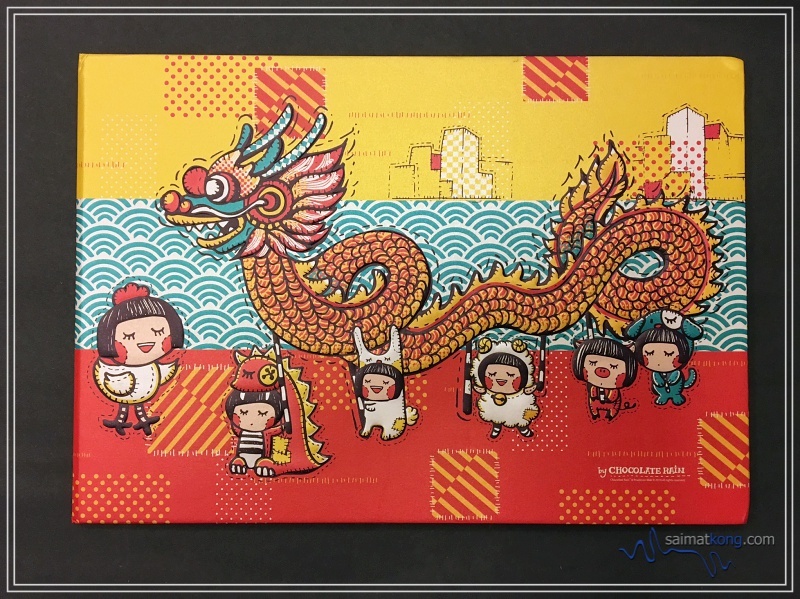 I like how you can combined two piece of the red packet and form a beautiful rooster. Simply stunning! 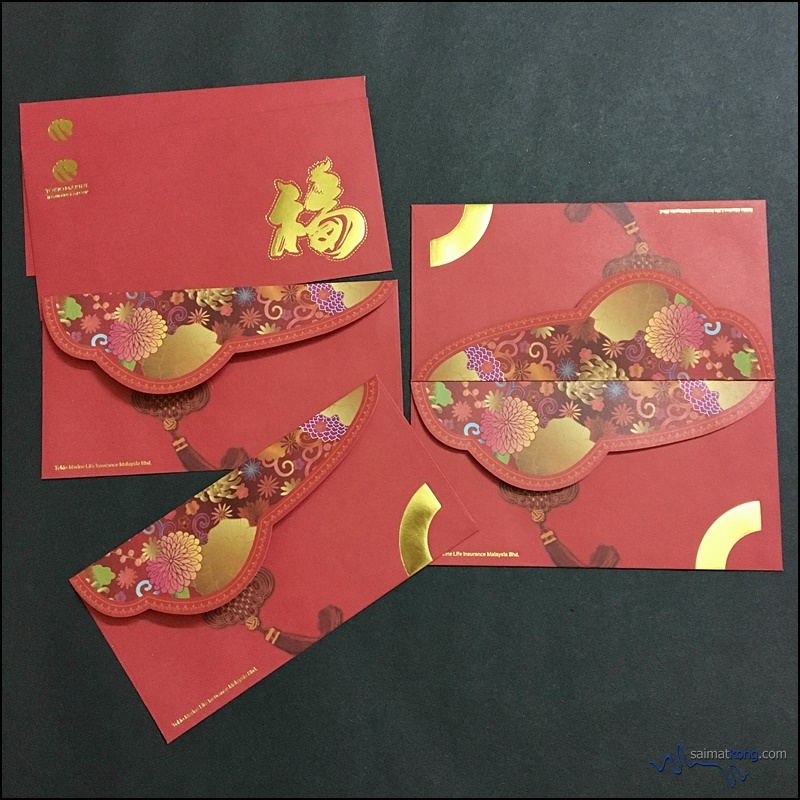 The red packets from Acewin features an interesting flap design of the Chinese lion head in bright and vibrant colours. 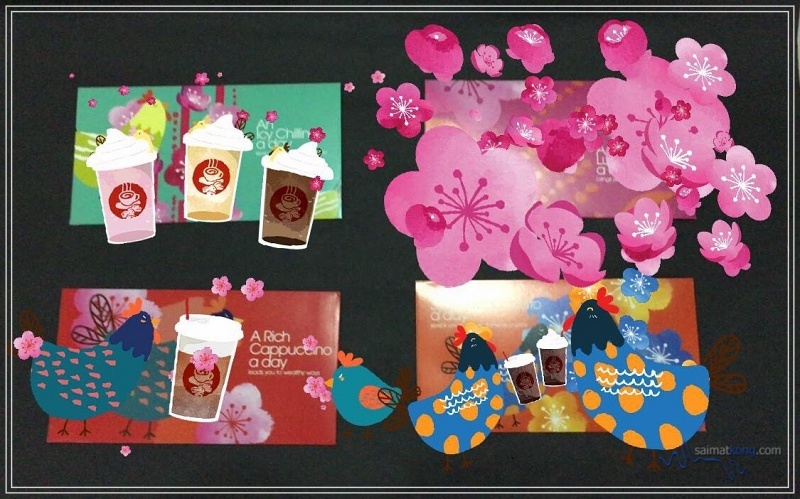 Super fun and cheerful ang pow packets featuring cute chicks from Baby Kiko, a kids apparel brand. 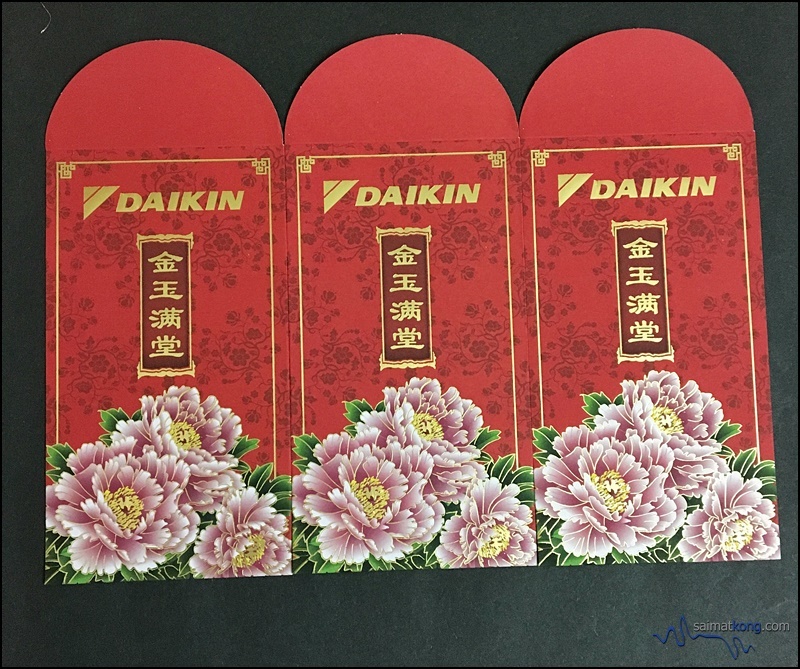 Simple but beautiful floral design from Daikin. 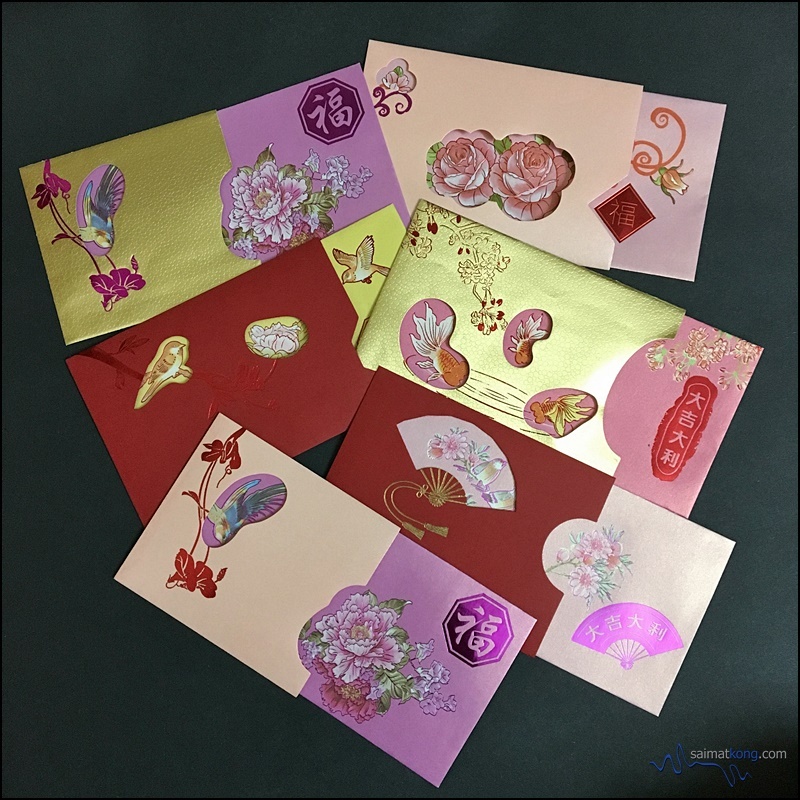 Delica offers family-themed exclusive red packets which is fun and cheerful. Each of the red packets has auspicious greetings. 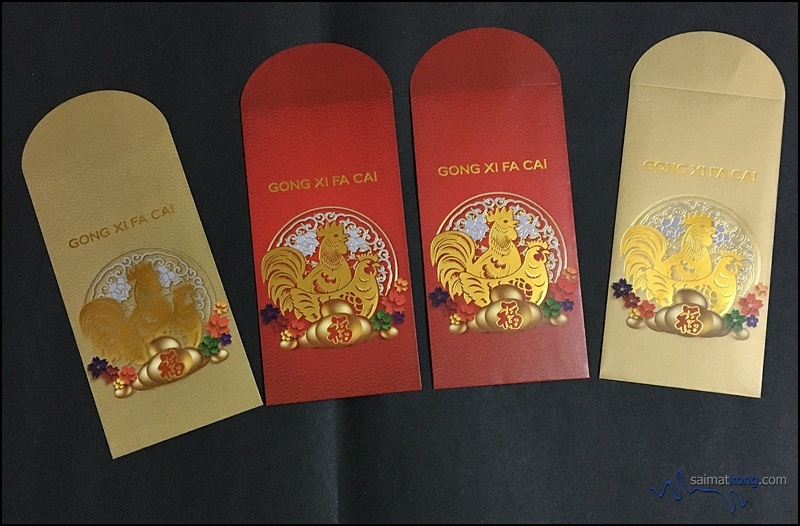 Rooster-themed red packets in shades of red and gold featuring a pair of gold rooster with “Gong Xi Fa Cai”. 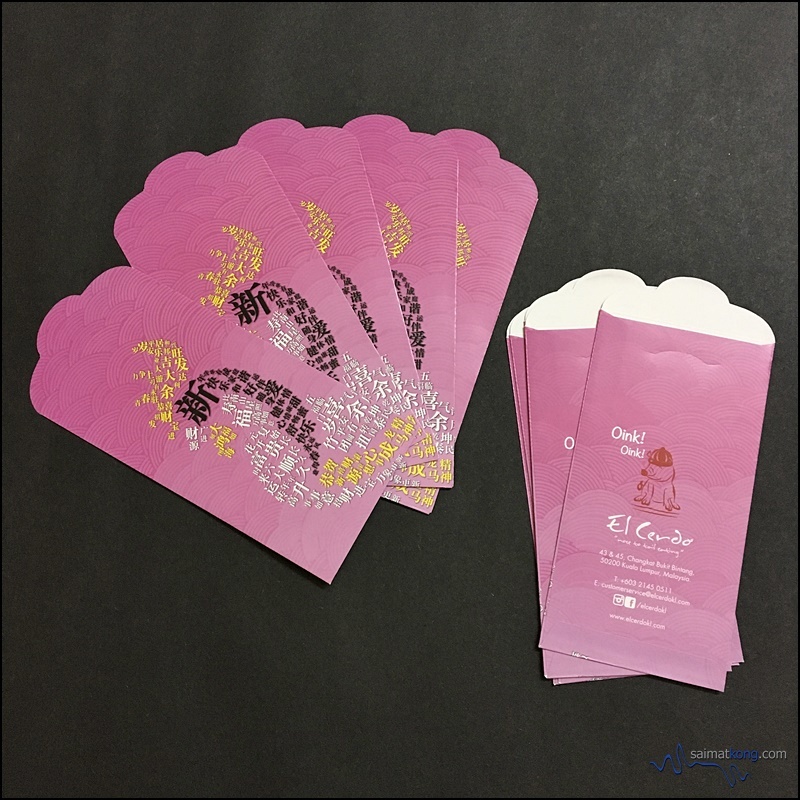 The red packets from El Cerdo and El Cerdito consists of a single design which is unique in its own way. 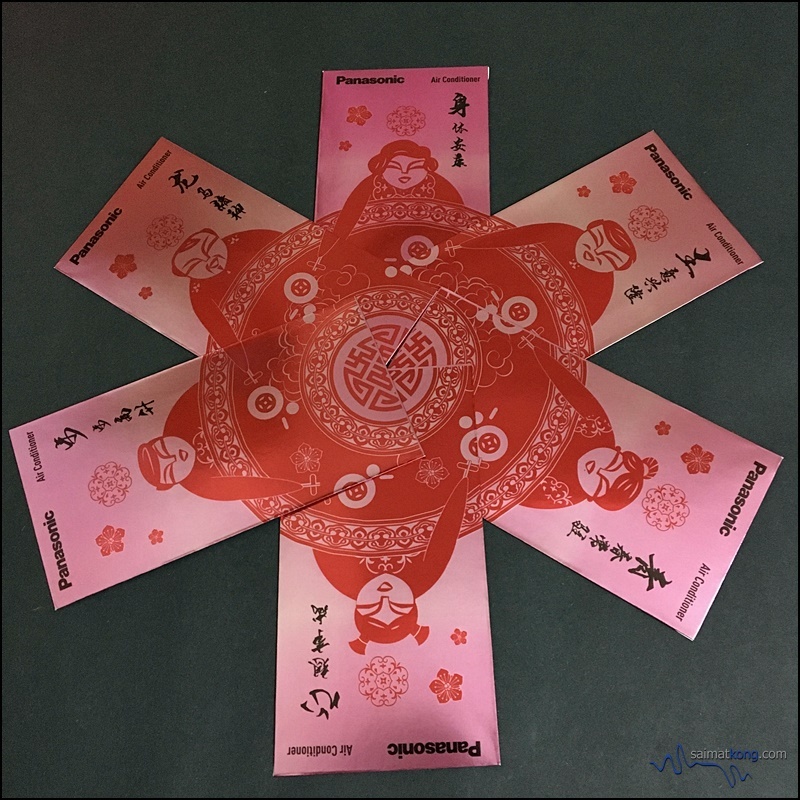 The red packet in a lovely shade of pink is filled with auspicious greetings to form a rooster. Nice ! 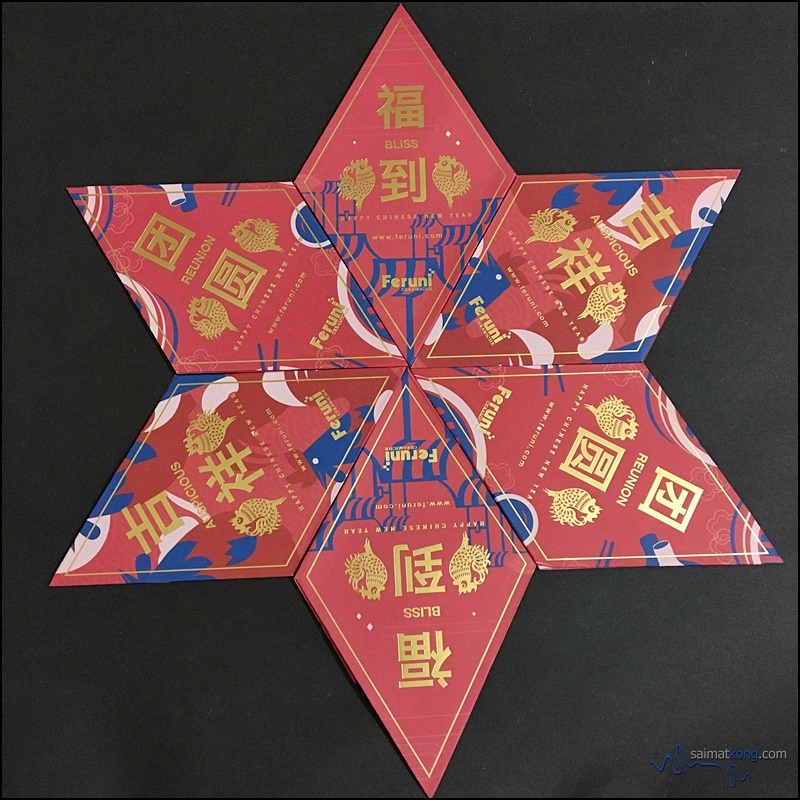 This year, Feruni designed their red packet that reflects Feruni‘s i Rhombus tiles. 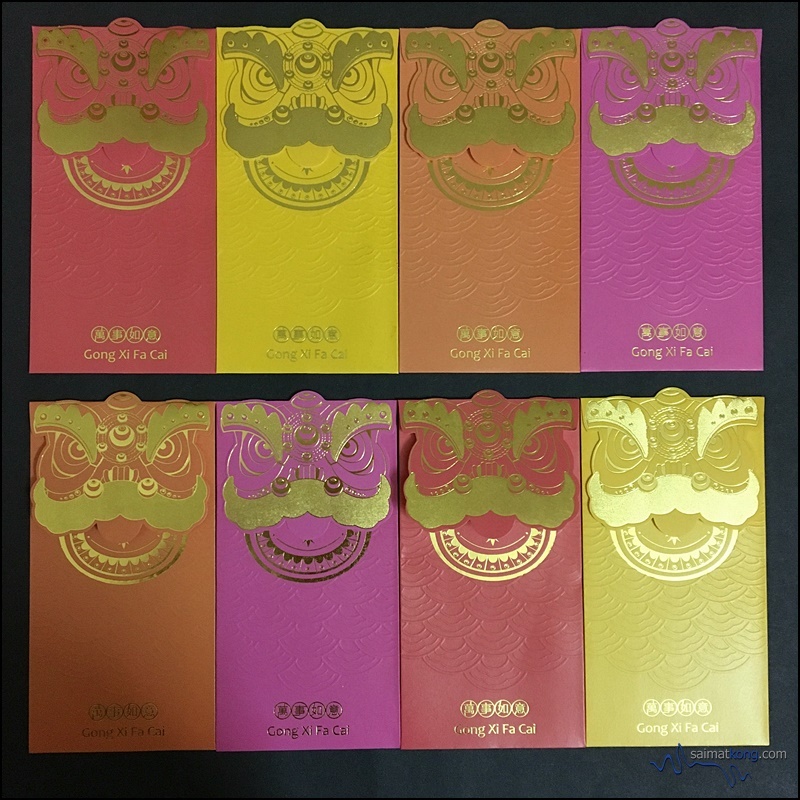 Each of the red packets has lucky blessings such as “Reunion”, “Auspicious” and “Bliss”. 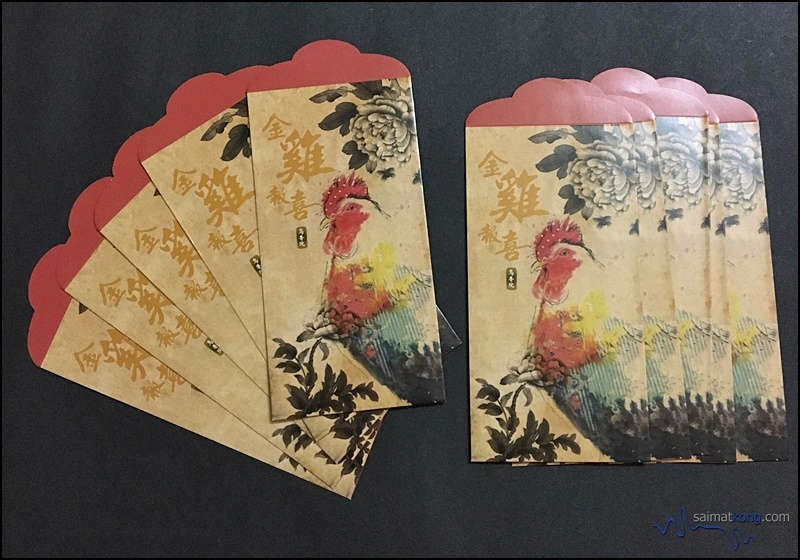 The red packets from Forefront features a bright and colorful Prosperity Rooster. I love the vibrant colours used, making it look absolutely outstanding. Very classy and beautiful set of Ang Pow! 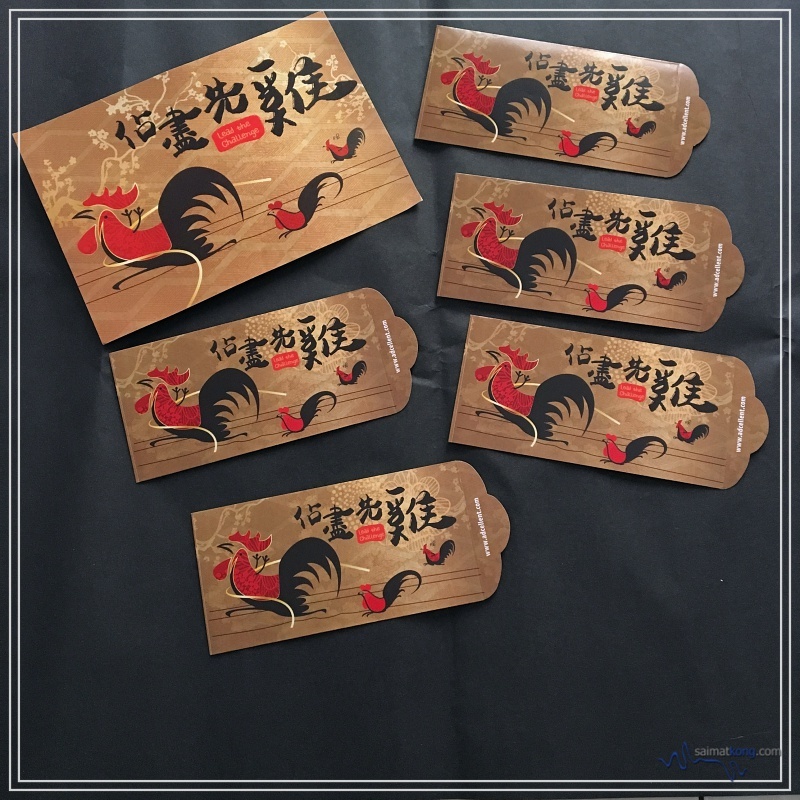 Loving these classy rooster theme red packets from Kampachi, it’s definitely one of the must-have ang pow for collectors! Also, the front and back can be join to form a rooster. Absolutely beautiful! The red packets from Lexus Malaysia are real classy. 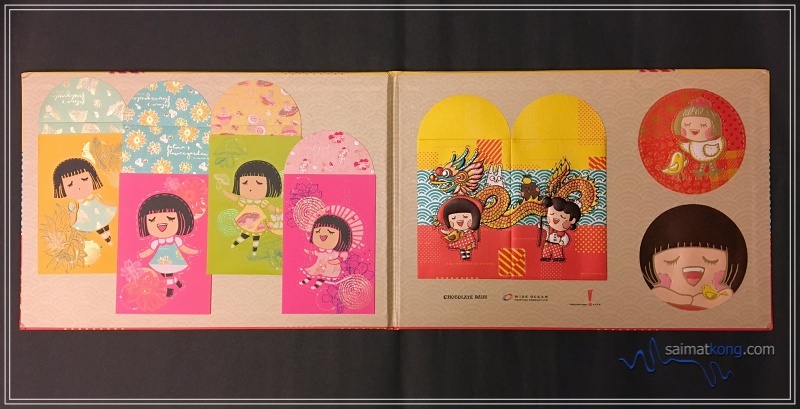 Comes with a case, each of the red packets are elegantly designed with an auspicious Chinese word. 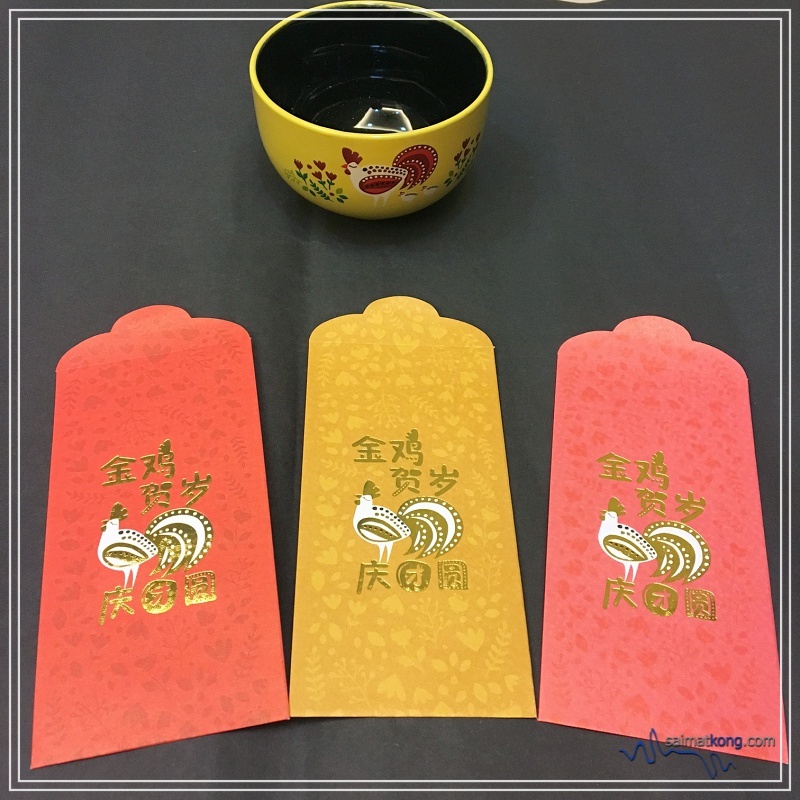 Totally love this beautiful set of red packet! 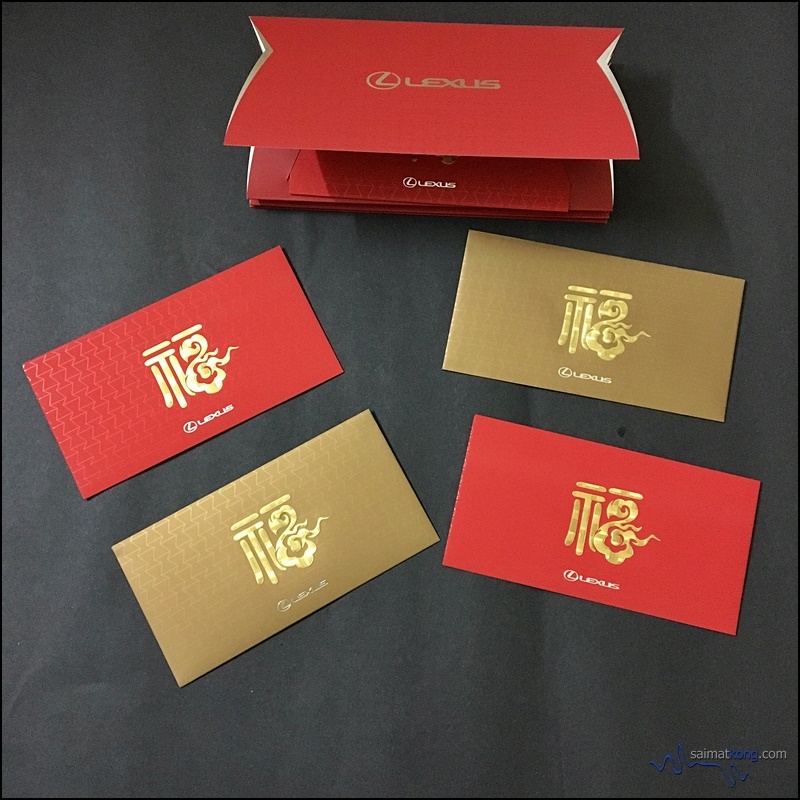 The exclusive red packets from Lim Tayar comes in suspicious red colour and each of it has its own symbolic meaning. A very nice set to have in your collection! 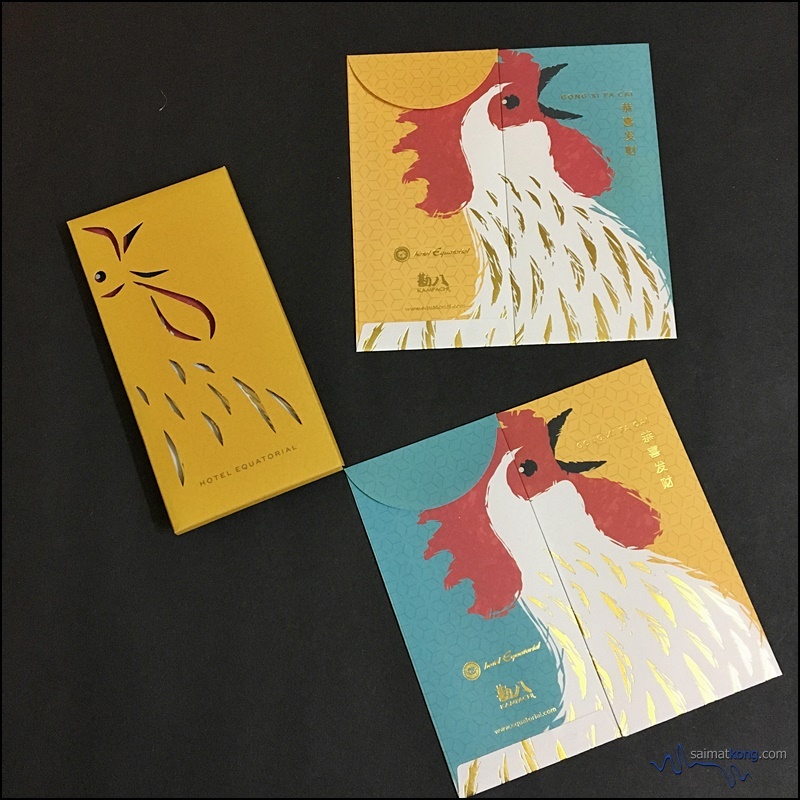 For the Year of Rooster, Midas Touch printed a set of cheerful and bright red packets designs featuring the journey of a chicken from an egg, to chick and then a chicken. 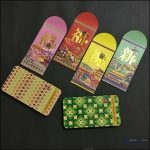 It’s a super cute red packets set that you gotta have in your red packets collection. The red packets from Nippon Paint come in shades of red featuring their cute blobbies. The exclusive red packets from Opium KL has got to be one of my favorites. 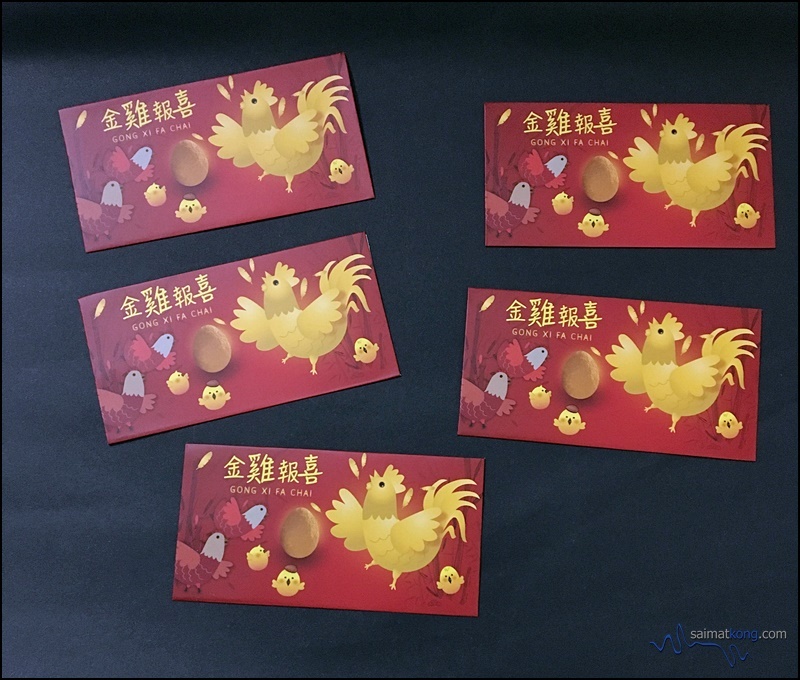 Each of the red packets feature a prosperity rooster with a floral background. It’s such a classic and beautiful piece! 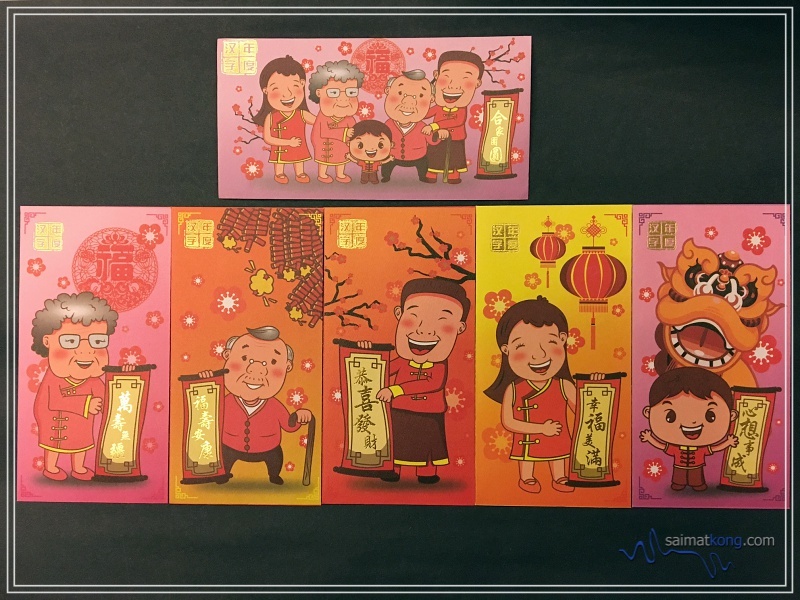 Panasonic Malaysia printed a family-themed set of red packets with an illustration of family tree at the back of the ang pow. 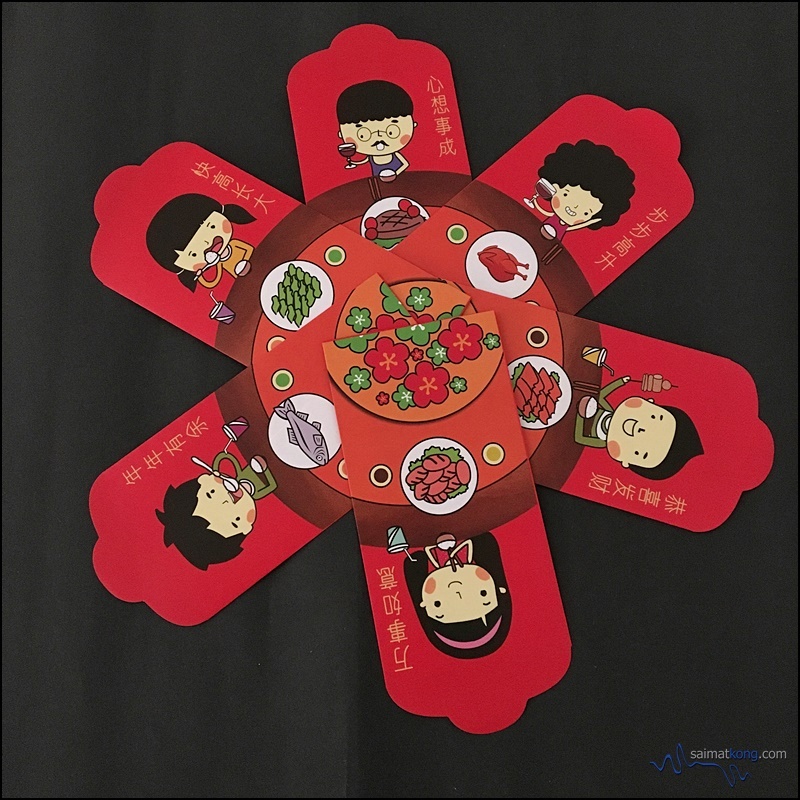 I like how you can join all the red packets together forming a picture of a family eating together. Lovely. The red packets by Pocky comes in auspicious colours of red and pink with flowers and chicks as background. 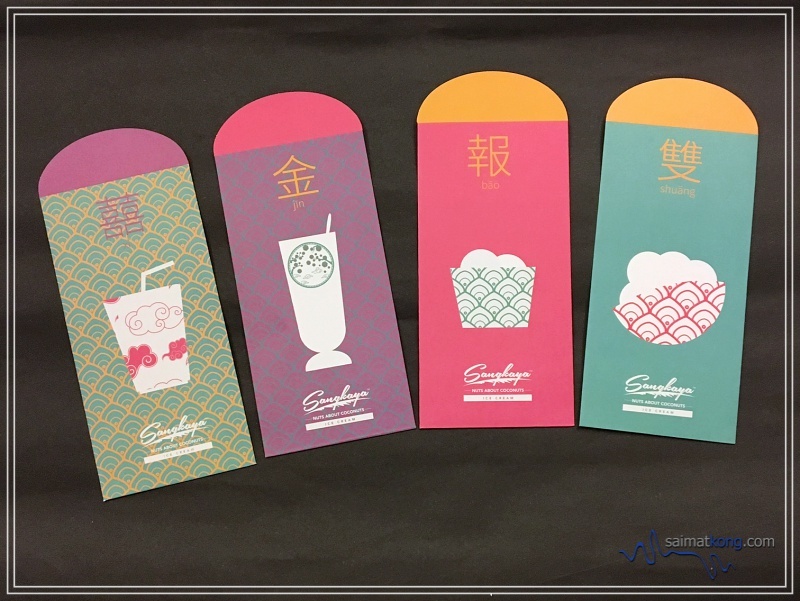 Fashion retail brand Pots-1 printed a set of red packets with oriental touch. 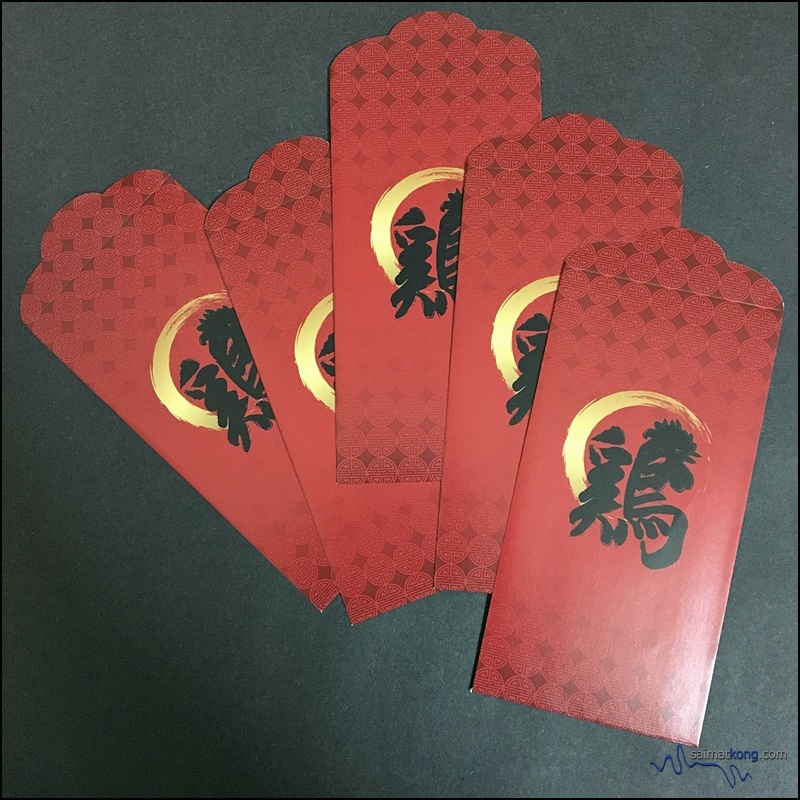 Each of the red packets come with separate sleeves. 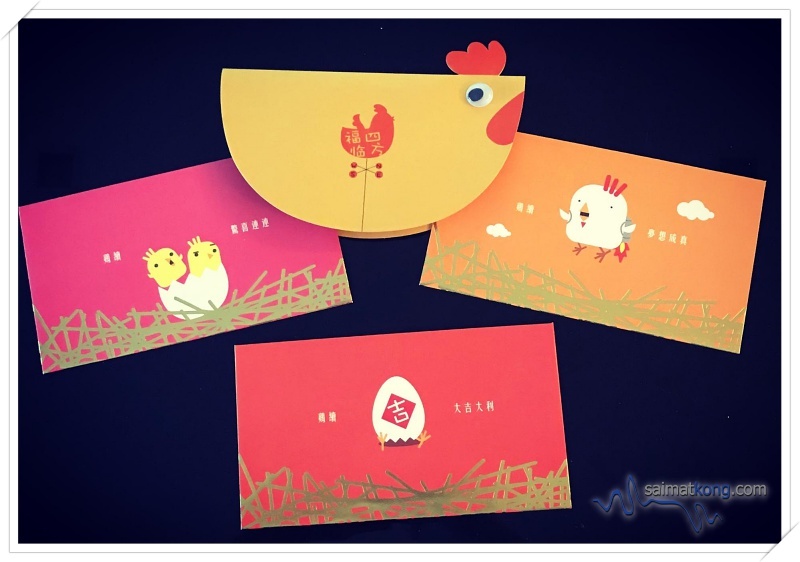 Rotiboy Malaysia printed a fun and cute design red packets featuring a rooster with cute little chicks. So so cute and I’m pretty sure the kids will be so happy receiving these red packets. 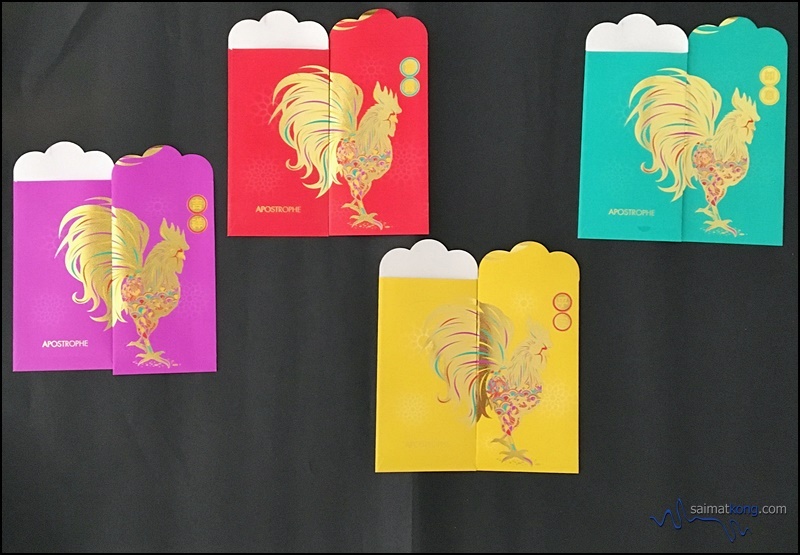 The exclusive red packets from Somersby features a bright colored rooster with wording “Rise & Shine to the Year of the Rooster” on the red packet. 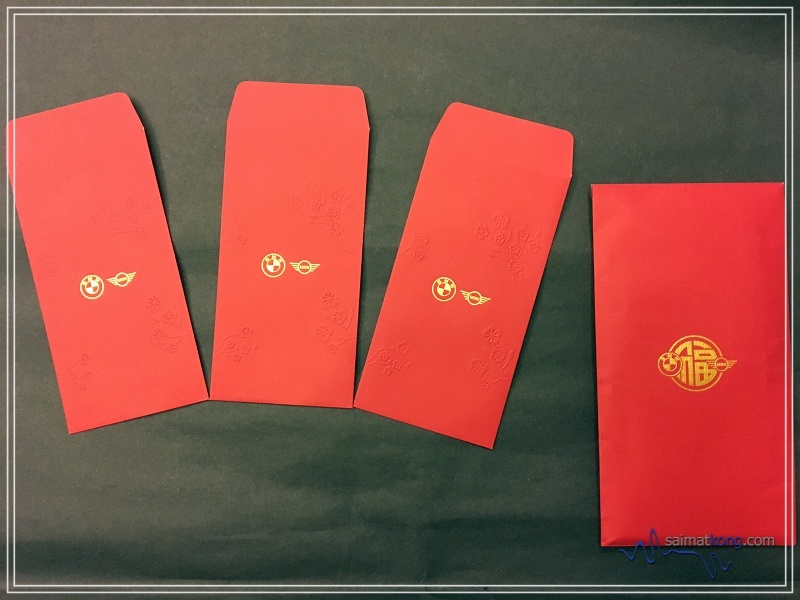 Absolutely love the chic design of The BIG Group’s exclusive red packets. The colour is so vibrant and totally stands out! Now that’s what we meant by “Think BIG”! This is such a classy and elegant piece with the Chinese word “鷄” from The Whisky Bar, KL. 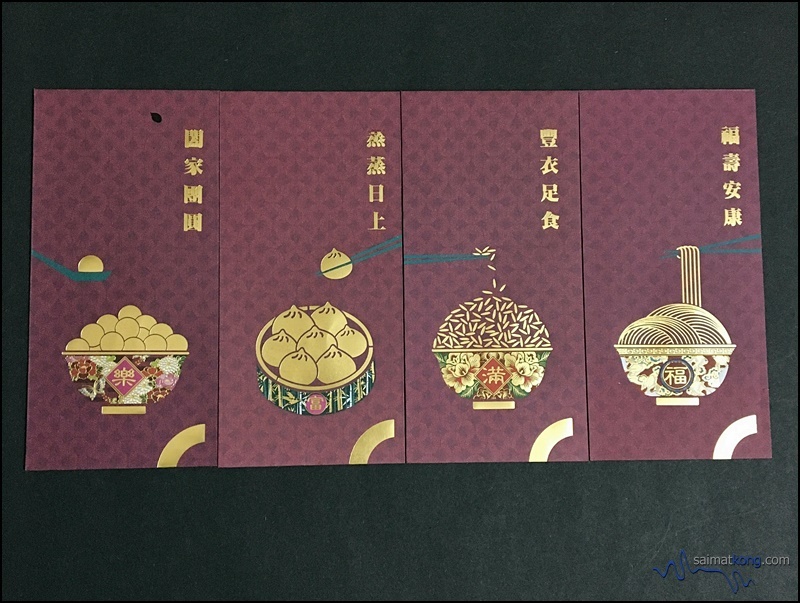 Tokio Marine printed a 4 piece set of red packets in shades of purple with auspicious wordings on each of them. 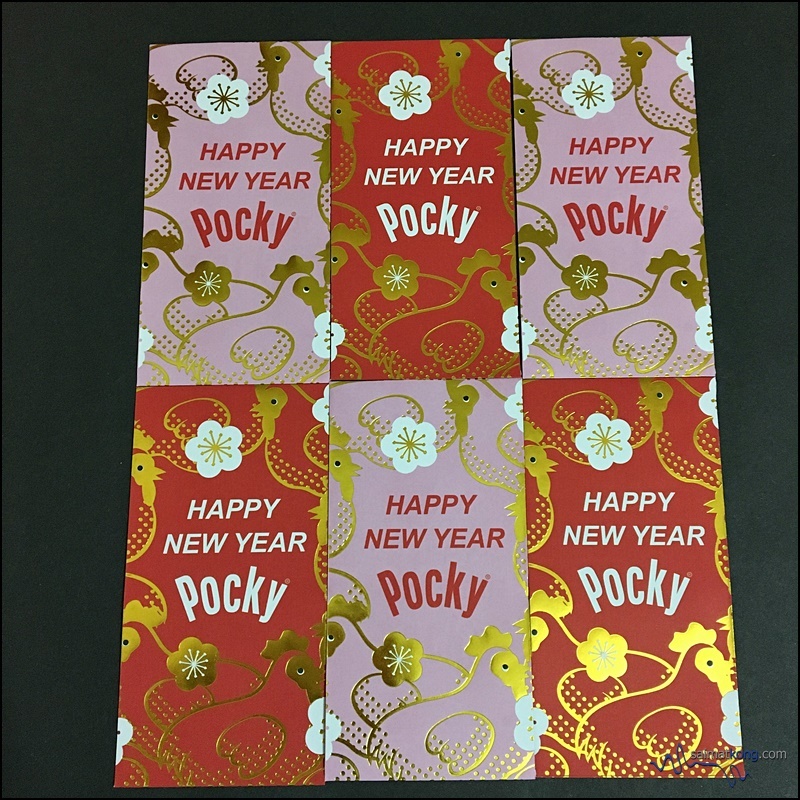 A classy and elegant red packet from Tokio Marine. 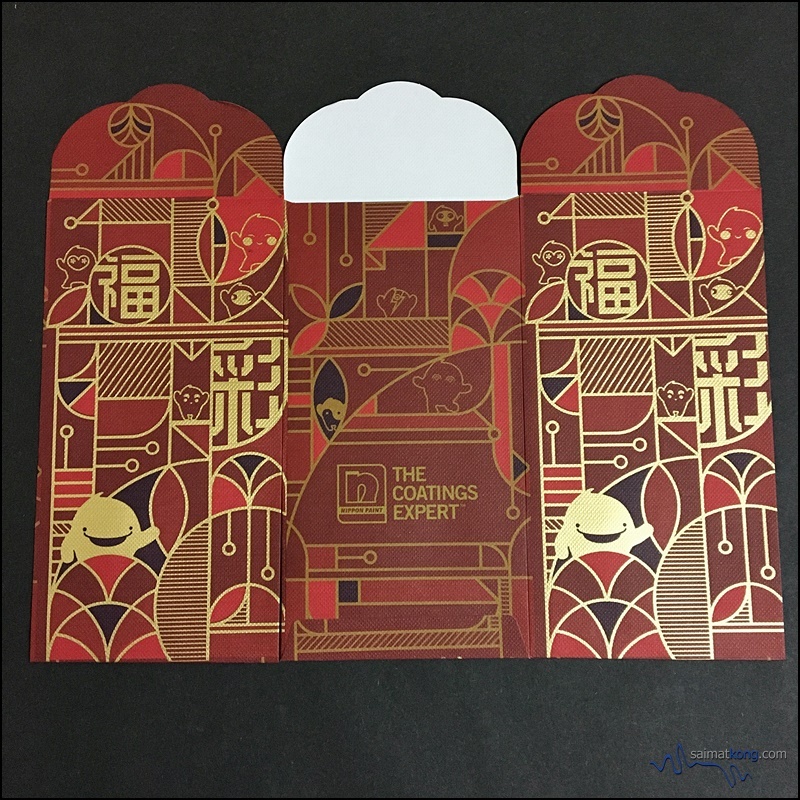 The auspicious red packets by Vivo Pizza features five different colours with pictures of mandarin oranges, lantern, gold, fish and fan. A very beautiful set! 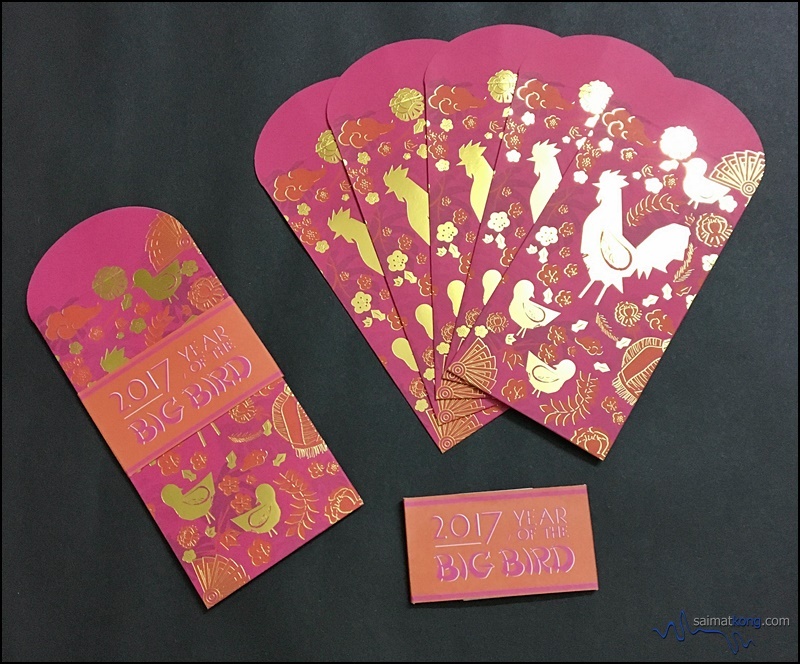 Bidding goodbye to Year of Monkey, Adcellent designed their roaster-themed red packets based on rooster’s audacious characteristics – courageous, dynamic and perseverant. Let the Rooster lead the challenge! 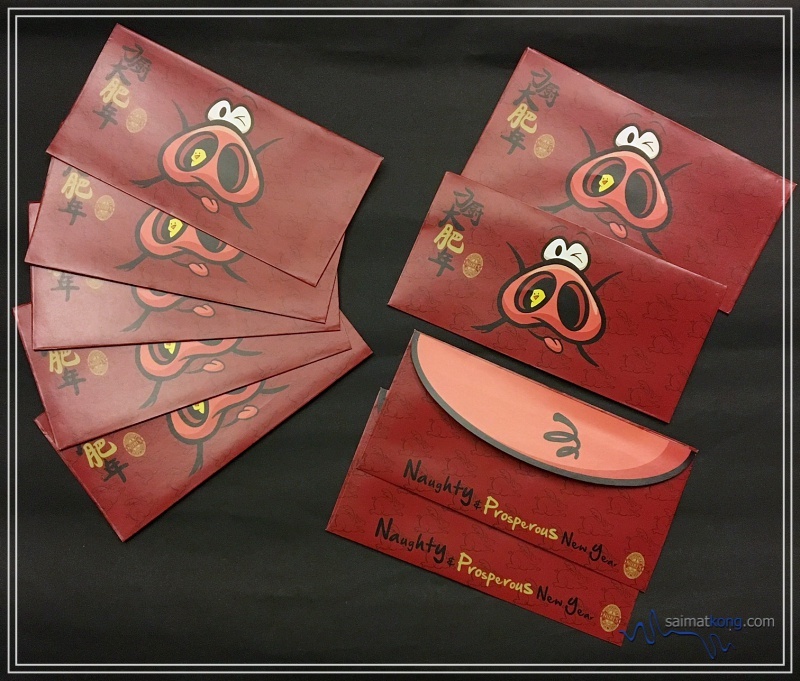 Naughty Nuri printed a cute red packet featuring they famous Piggy “oink oink” with a cute little chick. Turn it over and you’ll see the piggy tail with a Chinese New Year geeeting “Naughty & Prosperous New Year”. That’s a real naughty & nice red packet! 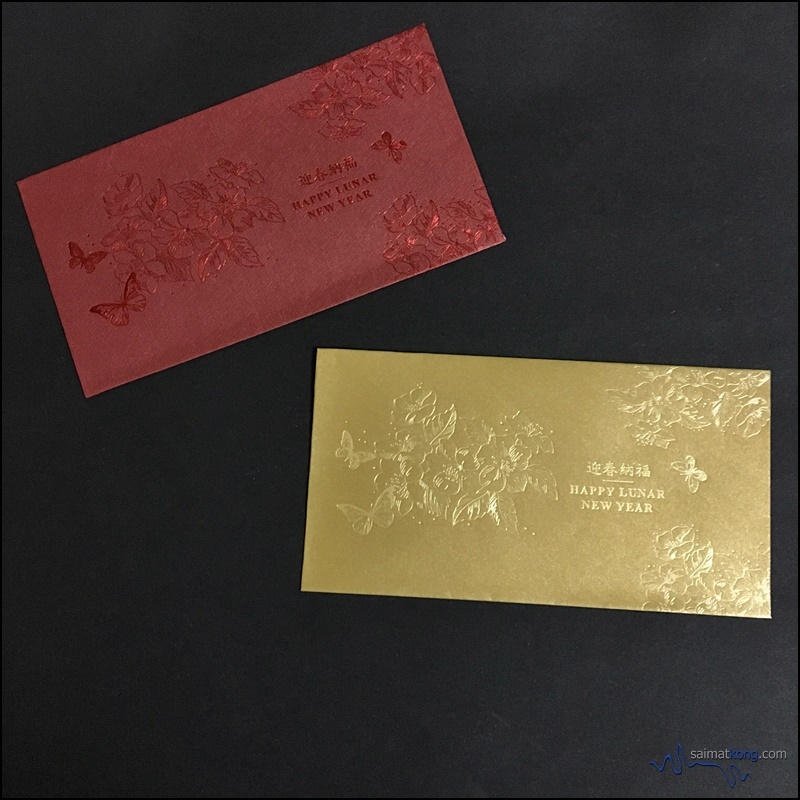 The classy and elegant red packets from BMW Credit which is printed in auspicious red colour. 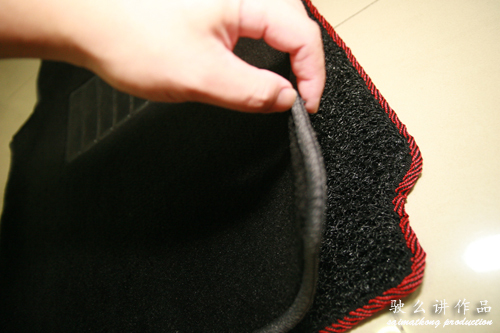 And yea, the texture of the paper is very nice too. 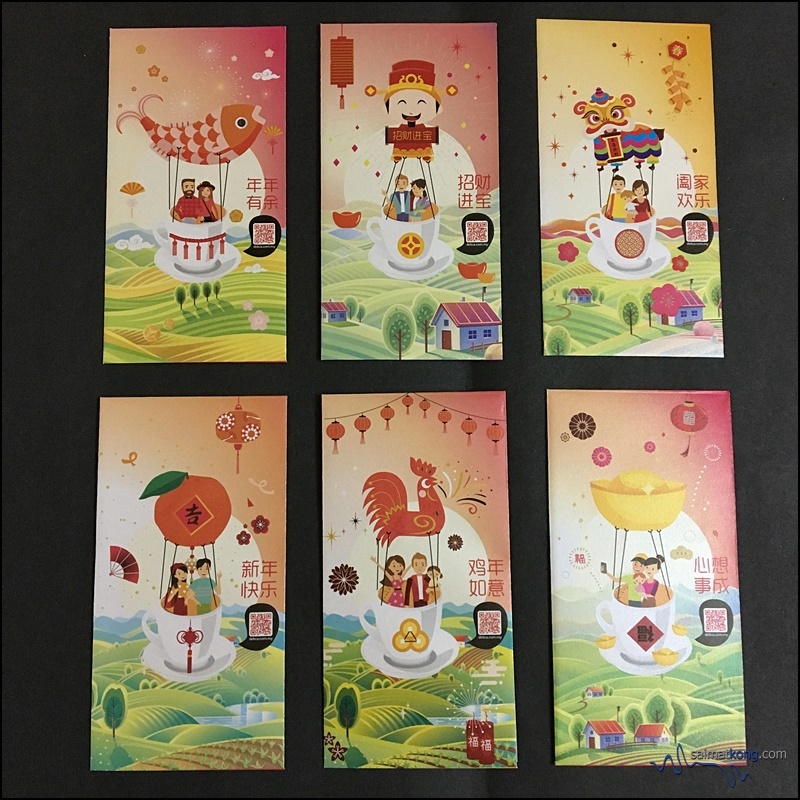 Culture Guru, an online site for festive supplies & gifts printed a set of lovely family-themed ang pow packets with auspicious greetings on each of the packets. Absolutely love the limited edition red packets from Chocolate Rain designed by the talented and founder of Chocolate Rain, Prudence. The limited edition red pockets come with a board set featuring the Fatina Gold Coin Set and Fatina Twin Dragon Set. 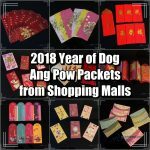 It’s such a pretty set to add in to your ang pow collection. 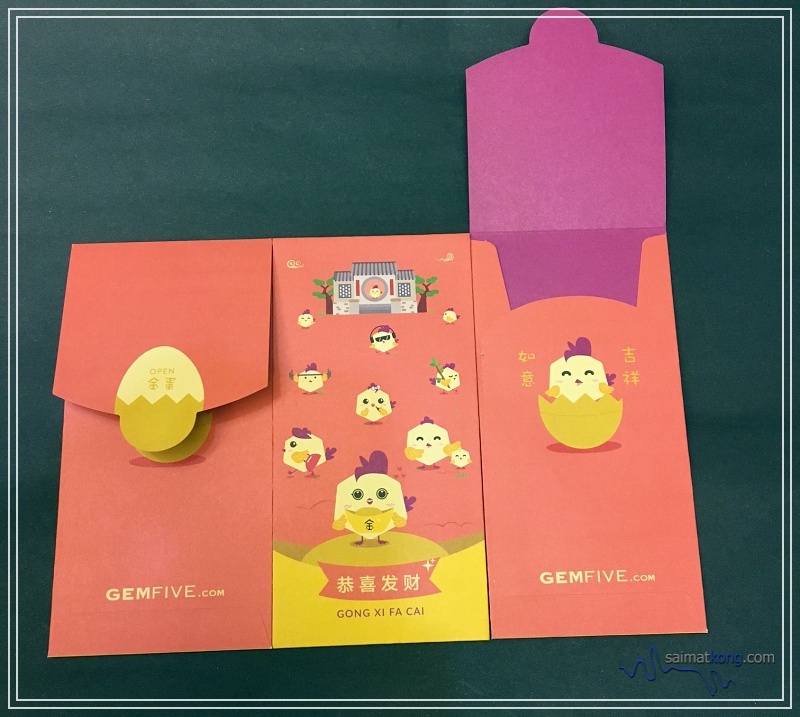 You will definitely love the red packets offered by Gemfive featuring cute little chicks. 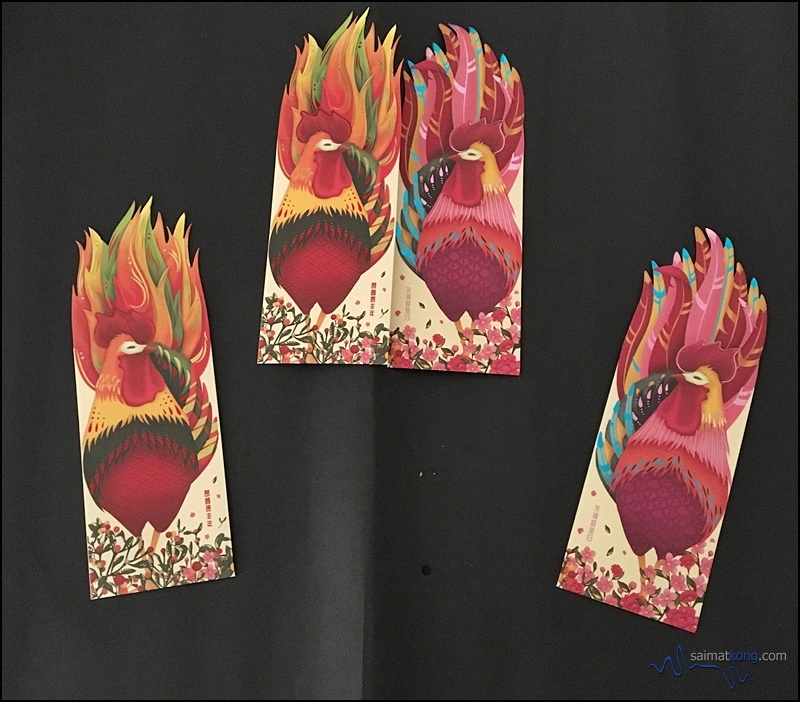 Marmite Malaysia printed a set of red packets in shades of red, yellow and pink with a rooster image to symbolize the Year of Rooster. Love the texture of the red packets with a lovely floral background. And yea, besides their pretty red packets, you’ll also get a limited edition Marmite Rooster Bowl when you purchase the Marmite 470g. 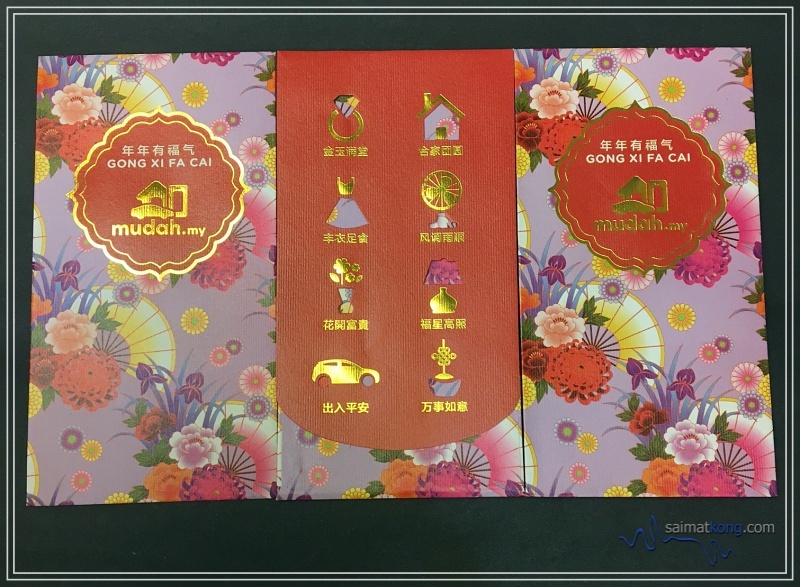 The red packets from Mudah.my comes in shades of purple with lovely floral design and auspicious greeting “May the Year of Rooster be filled with Prosperity”.